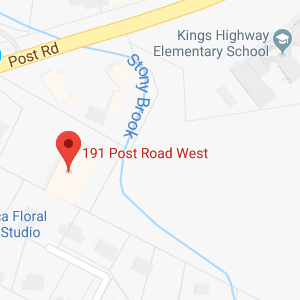 – Cynthia K., Woodstock, CT.
Everything was explained very well and professionally from the start of our seminar through today. This has been a very pleasant and well explained process for us. Attorney Horowitz was quite reassuring and our paralegal made the process easy and enjoyable. This can be very overwhelming but you made it easy for us. My Husband and I appreciated the unrushed atmosphere. We left being comfortable with the questions we asked and the answers given. Took a complete subject and explained each element in a fashion that made the client not only protected, but educated about various laws and pitfalls- Clearly worth the modest fee charged for these comprehensive services. Presentation was through and complete. All questions were answered. Staff was curteuos and accommodating. It would have been helpful if all the contact info was sent out directly from your office. Very professional and friendly. Great experience and helpful. Would recommend to all our friends. All our questions were answered to our satisfaction. We have a full confidence in assistance that this firm has provided to us. We would recommend this firm to our friends and family. Great! Everyone at the firm was nice and explained everything in enough detail that we understood it, but it wasn’t boring. The presentation that was made by Attorney Horowitz that actually brought us here was well- done, very informative and funny. After making the trust, its good to know that nothing has to go to probate and be fought over and destroy family relationships. It Truly brings peace of mind. 5) My Paralegal as well as all of the above was helpful and articulate. 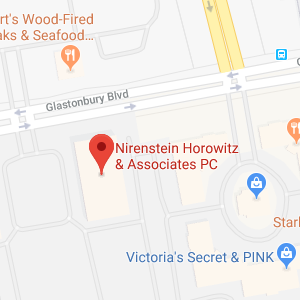 Nirenstein, Horowitz & associates were very through and addressed all my concerns and assured that they will continue to be available if any questions arise. Very Informitave seminar. Very knowledgeable and fully explained. Also, all questions were answered. My Experience was very good. Everything was explained to me. Karen, my paralegal is very knowledgable. My experience has been wonderful. I attended the seminar knowing little about Living Trusts. You enlightened me enough so that I felt comfortable scheduling a meeting with attorney Horowitz. After the seminar and consultation, I felt that I had a better understanding and good grasp of Living Trusts. I did this for my family (survivors) and for the peace of mind a living trust brings. Also, I’m grateful for being able to call this office with any questions that may arise.